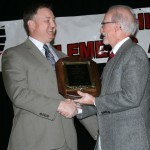 Columbiana County cattleman Henry Bergfeld received the Ohio Cattleman’s Association Industry Excellence award Jan. 23. 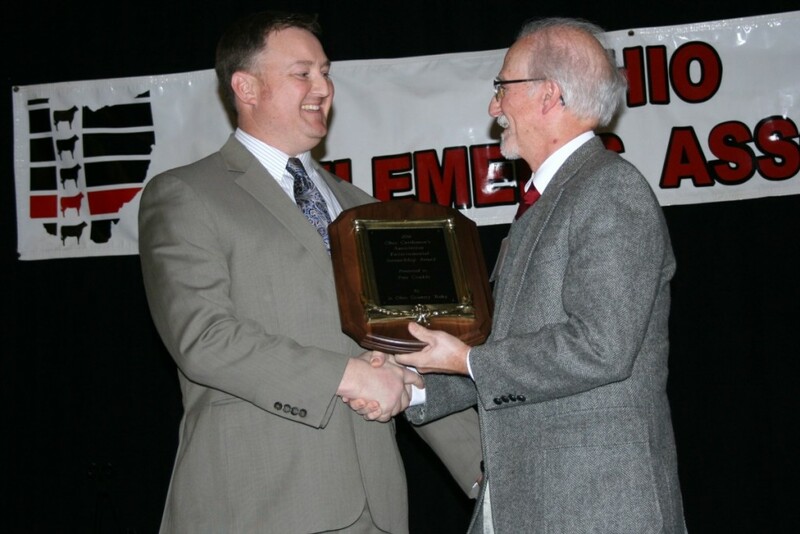 COLUMBUS — The beef market may be in downward spin, but optimism reigned at the Ohio Cattlemen’s Association annual meeting and awards banquet Jan. 23. The meeting was held at the Nationwide Hotel and Conference Center in Lewis Center. 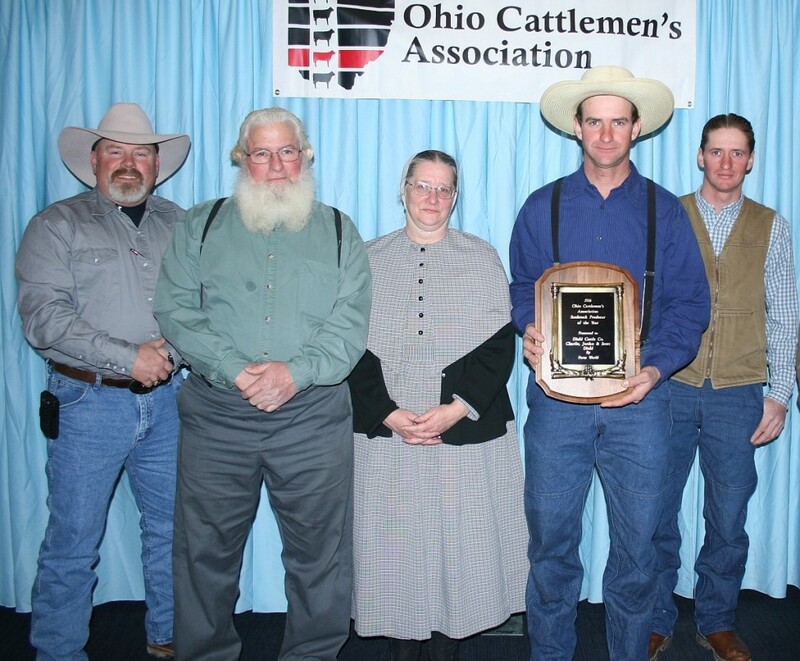 Henry Bergfeld, owner of Pine Hill Farm in southern Columbiana County, received the OCA’s Industry Excellence award. Bergfeld is well-known from his years as manager of the Summitcrest Farms, and pioneered the export of Angus embryos. Under his direction, Summitcrest was named 1991 Beef Improvement Federation Seedstock Producer of the Year, and in 1998, the operation was named one of eight national Cattle Businesses of the Century, an award administered by the National Cattlemen’s Foundation. He is a past member and chair of the Certified Angus Beef board, past member of the American Angus Association board, and board member and past president of the Ohio Angus Association. 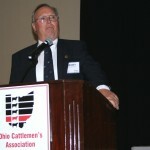 A past president of the Ohio Cattlemen’s Association, it was during his OCA leadership tenure that the Ohio Beef Expo got started. 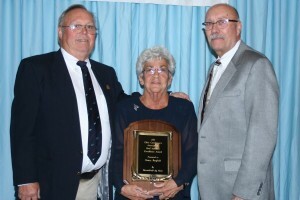 Bergfeld was also a strong force in the forming of the Buckeye Beef Improvement Federation and then served as a charter member and first president of the organization. A well-known judge, he has judged at the National Western Stock Show in Denver as well as other national and state livestock events. In 2005, he was named Animal Science Distinguished Alumnus by Penn State’s Department Of Dairy And Animal Science. He and his wife, Dona, have three adult children, Ann, Ellen and Lee. They currently run 40 head on their 196-acre farm. 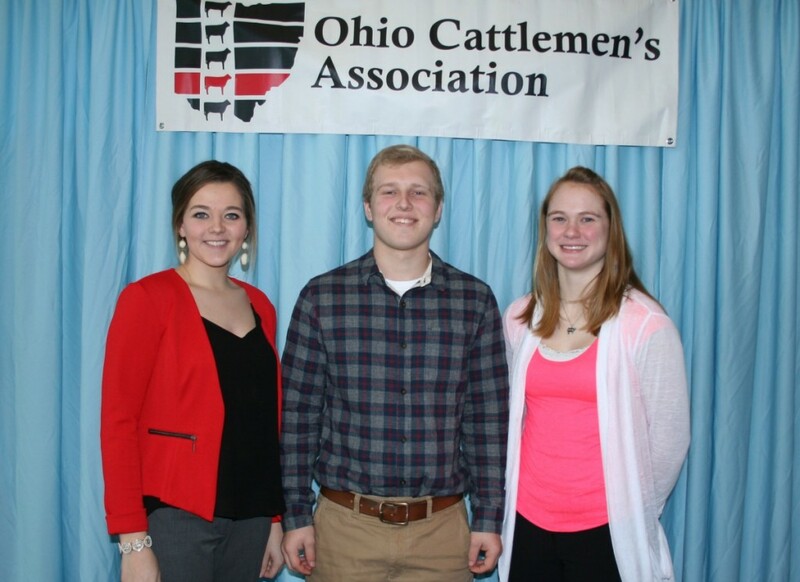 A second Columbiana County cattleman also received one of the top honors. Pete Conkle, who runs a commercial, grass-fed Red Angus operation near Hanoverton, received the OCA’s Environmental Stewardship award. 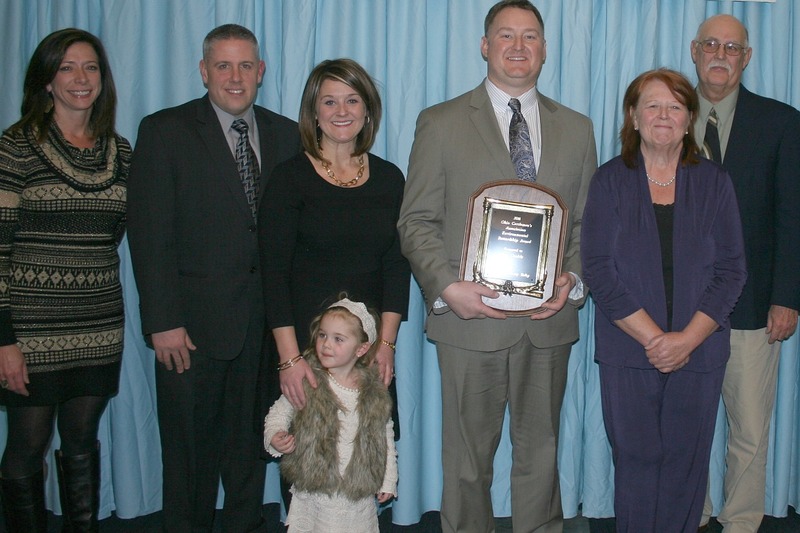 Friends and family celebrated the Environmental Stewardship award presented to Pete Conkle. 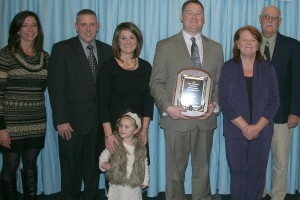 From left, Tamie Ambrose; Josh and MaryAlice Sigler and their daughter, Tatym; Pete Conkle; and his parents Alice and Larry Conkle. Conkle also works for the Columbiana Soil and Water Conservation District and helped establish the Eastern Ohio Grazing Council. 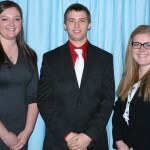 A board member of the Columbiana-Mahoning-Trumbull Cattlemen’s Association, Conkle currently serves on the Ohio Cattlemen’s Association board of directors. Jamey and Jody Rauch, of Rauclif Farms in Washington County, received the Commercial Cattleman of the Year award. The Rauchs have a crossbred Angus herd with approximately 100 cow-calf pairs. The calves are fed out, along with an additional 100 calves. Charlie, Jordan and Scott Diehl of Diehl Cattle Company, Bradford, Ohio, received the Seedstock Producer of the Year award. The family cattle company began with six cows and has grown to a herd of 200 Gelbvieh cows and is the primary seedstock producer in western Ohio. The bulls are marketed in Missouri at Seedstock Plus Genetics. 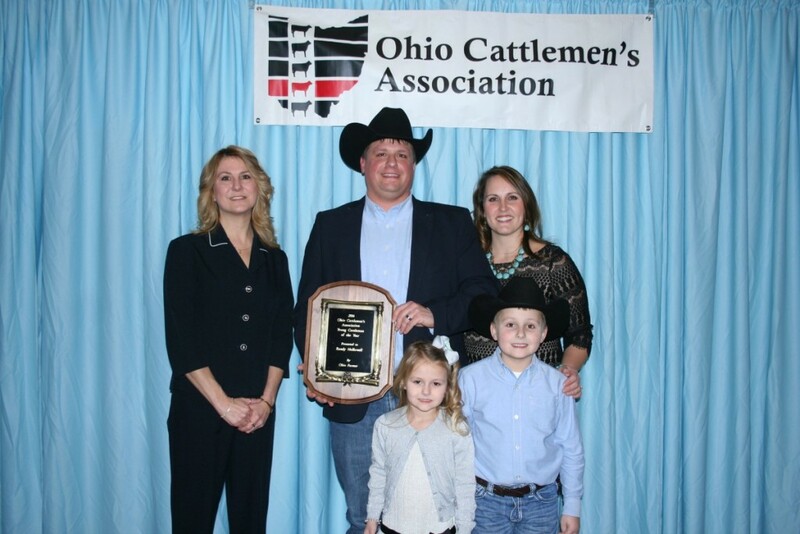 Randy Hollowell, of C&H Farm near Covington, Ohio, received the OCA’s Young Cattleman of the Year award. He and his wife, Stacy, have two children, and partner with his brother-in-law and father-in-law on the family farm. They currently farm over 3,000 acres of grain as well as manage a cattle feedlot of about 640 cattle per year. Most of the cattle are directly marketed to packing plants and the rest are marketed as freezer beef. 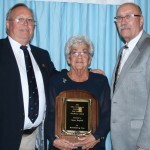 Jim, Jackie and Jarrett Murray of J&J Steakbarn, received the Industry Service Award. The Ohio Cattlemen’s Association partners with J&J Steakbarn to serve beef at the Ohio State Fair, Ohio Beef Expo, Spring Dairy Expo and other events. 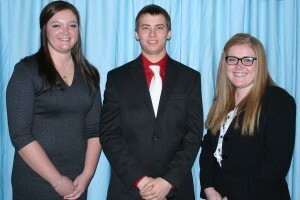 Newly selected Ohio Beef Ambassadors include (L-R) Samantha Norman, of Fulton; Nick Erf, Bellevue; and Mackenzie Chamberlain, Napoleon. 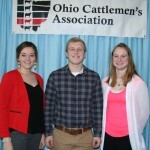 Three individuals were tapped to serve as Ohio Beef Ambassadors for 2016: Mackenzie Chamberlain, Napoleon; Nick Erf, Bellevue; and Samantha Norman, Fulton. 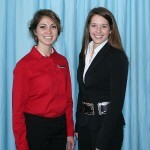 They will spend the next year educating consumers and students about beef nutrition, food safety and beef industry practices. During the association’s annual meeting, Colin Woodall, vice president of government affairs for the National Cattlemen’s Beef Association (NCBA), and Mike Miller, senior vice president of global marketing and research at NCBA, each gave updates on issues and marketing efforts at the national level. Ohio state Rep. Brian Hill, R-Zanesville, chair of the Agriculture and Rural Development Committee, shared an update on proposed changes to the Current Agricultural Use Valuation, or CAUV, tax formula and policy. 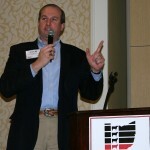 Ohio state Rep. Brian Hill gave an update on CAUV during the Ohio Cattlemen’s Association annual meeting Jan. 23. Ohio’s CAUV, which taxes farmland on its agricultural and not highest use value, has been under fire since the recent evaluations (a third of Ohio’s counties are reviewed every three years) increased farmland taxes as high as 300 percent. 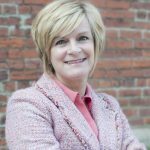 While there have been and still are changes the state tax commission can implement without legislation, Hill said the commission has been slow to act, and in early November he introduced H.B. 398 that would address several issues. The proposal was just assigned to the Government Accountability and Oversight Committee Jan. 20. He is hoping a hearing will be scheduled in the next few weeks. 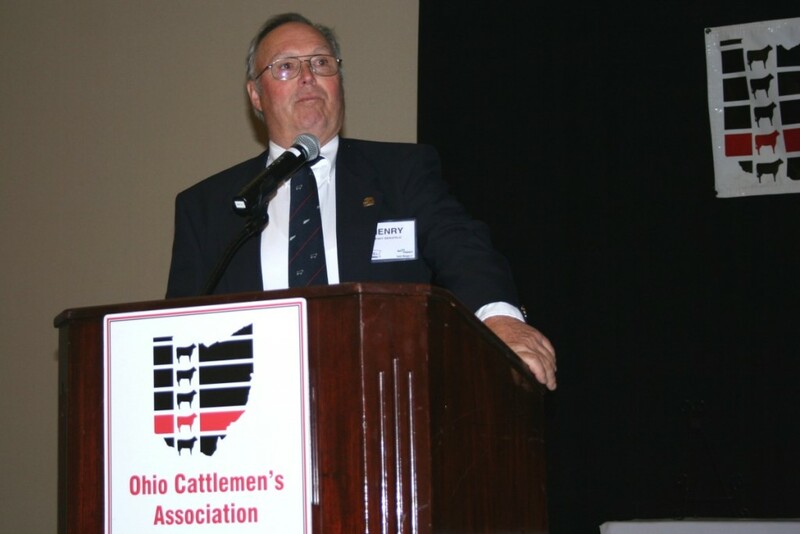 During the Ohio Cattlemen’s Association annual meeting, Ron Hendrick, acting dean of Ohio State’s College of Food, Agricultural and Environmental Sciences, updated Ohio Cattlemen’s Foundation members on a review of the university’s farm facilities. The recent review determined between $80-90 million worth of updates or new buildings are needed in the animal science facilities alone. Many of the ag college facilities were built between 1950 and 1980. 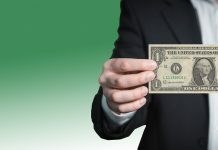 Those dollars are not likely to materialize, Hendrick said, but what will happen is a downsizing and shifting of species’ locations over the next five to 10 years. Plans call for the swine herd to move to the Wooster campus, for example, and the college’s horse herd will be co-located with the herd from Veterinary Medicine at the Alice Lloyd Finley Memorial Veterinary Research Farm, a 133-acre farm in Madison County, and overall equine numbers will be smaller. Hendrick said the dairy barn will be maintained at the Waterman Agricultural and Natural Resources Laboratory, but the university also hopes to build a multispecies building there, where smaller numbers of livestock could be housed for research and teaching purposes. “We have made significant investments in the beef industry,” Hendrick said, highlighting increased staffing in support, research, Extension and teaching. He also outlined plans for a new beef reproductive physiology lab, arena, offices and beef barn at the Don Scott Field. At its December meeting, the OCA board pledged $50,000 toward the construction of the new 31,000 square foot facility that will bear a $5 to 6 million pricetag. Hendrick said capital fundraising efforts are underway to raise half of the expected cost. 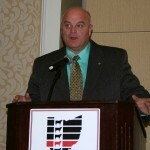 Incoming president for the Ohio Cattleman’s Association is Joe Foster, of Gallia County. He is joined on the executive committee by Vice President Sasha Rittenhouse; treasurer Bill Tom; member at large, Tom Karr; and immediate past president Frank Phelps. Several scholarships were presented during the luncheon program, including the continuing installments of the Steve R. Rauch Benchmark of Excellence Scholarship to Sierra Jepsen, Fairfield County; and Laura Schmuki, Stark County. Molly Cleveland, Seneca County; Curtis Harsh, Delaware County; Hunter Frobose, Wood County; and Evan Smith, Fairfield County; each received a Tagged for Greatness Scholarship, and Sarah Johnson, Pickaway County, received the Saltwell Expo Scholarship. 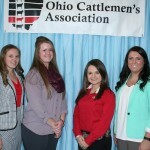 Emily Bauman, Adams County; Jordan Bonham, Fayette County; Haley Drake, Columbiana County; and Josie Vanco, Gallia County; each received Cattlemen’s County Club Scholarships. 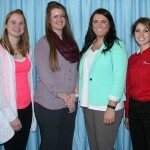 Molly Cleveland, Haley Drake, Jordan Bonham and Laura Schmuki also received additional scholarships. The Diehl family received this year's Seedstock Producer of the Year award. From left are Ken Zimmerman; Charlie, Ang, Jordan and Scott Diehl. 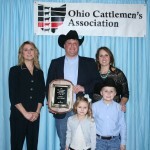 Randy Hallowell received the Ohio Cattlemen's Association Young Cattleman of the Year award. With him are his wife, Stacy, and children Carly and Dylan. 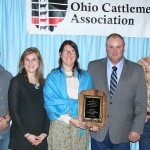 Also pictured is Jennifer Kiel, representing the award sponsor, Ohio Farmer. 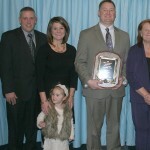 Jamey and Jody Rauch received this year's Commercial Cattleman of the Year award. They are joined by award sponsor, Susan Crowell (left), editor of Farm and Dairy; and their children, daughter Katie Marks and her husband, Bradley; and sons Josh and Evan. 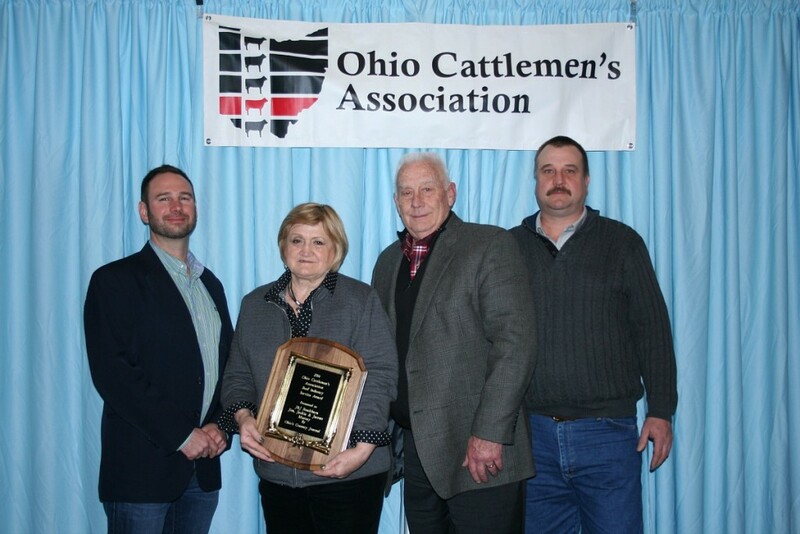 Jackie, Jim and Jarrett Murray, of J&J Steak Barn, received the Industry Service award, which is sponsored by Ohio's County Journal, represented by editor Matt Reese. 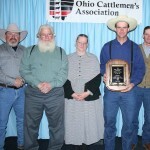 Columbiana County cattleman Henry Bergfeld received the Ohio Catttleman’s Association Industry Excellence award Jan. 23. 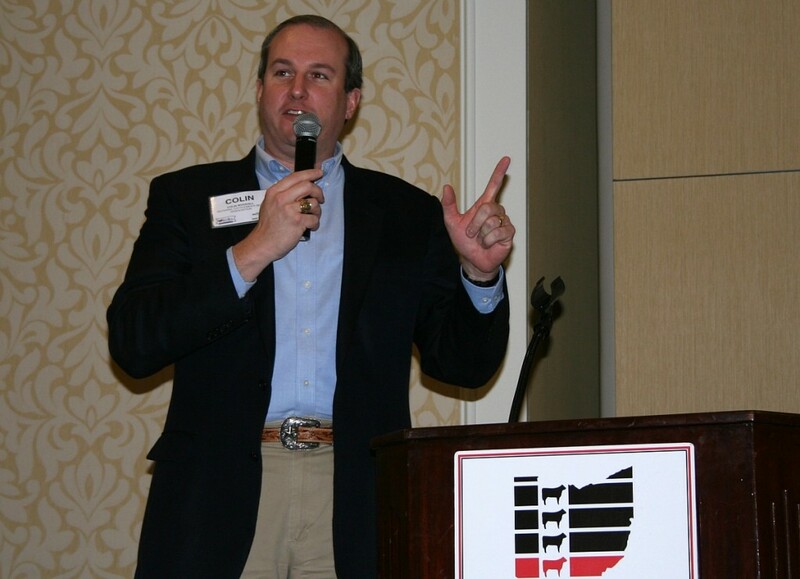 National Cattlemen's Beef Association's Colin Woodall, vice president of government affairs, updated Ohio cattlemen on issues in Washington that affect the industry. 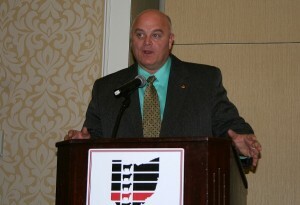 Ohio state Rep. Brian Hill gave an update on CAUV during the Ohio Cattlemen's Association annual meeting Jan. 23. 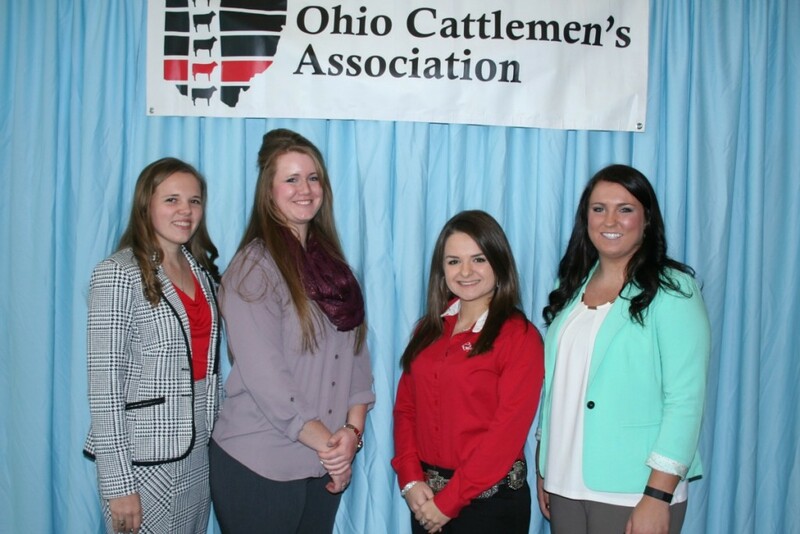 Scholarship recipients include (L-R) Molly Cleveland; Haley Drake; Jordan Bonham; and Laura Schmuki. 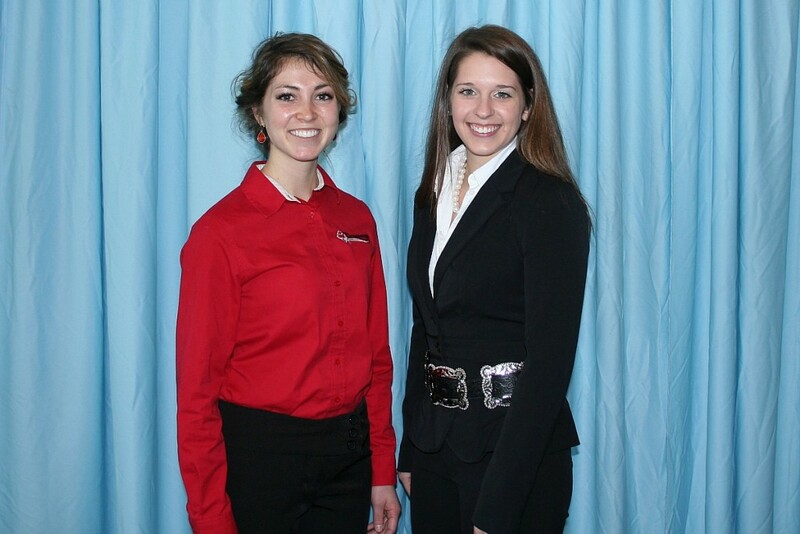 Laura Schmuki, Stark County, and Sierra Jepsen, Fairfield County, received the Steve R. Rauch Benchmark of Excellence Scholarship. Students receiving the Tagged for Greatness Scholarship include (L-R) Hunter Frobose, Evan Smith and Molly Cleveland. Not pictured is recipient Curtis Harsh. 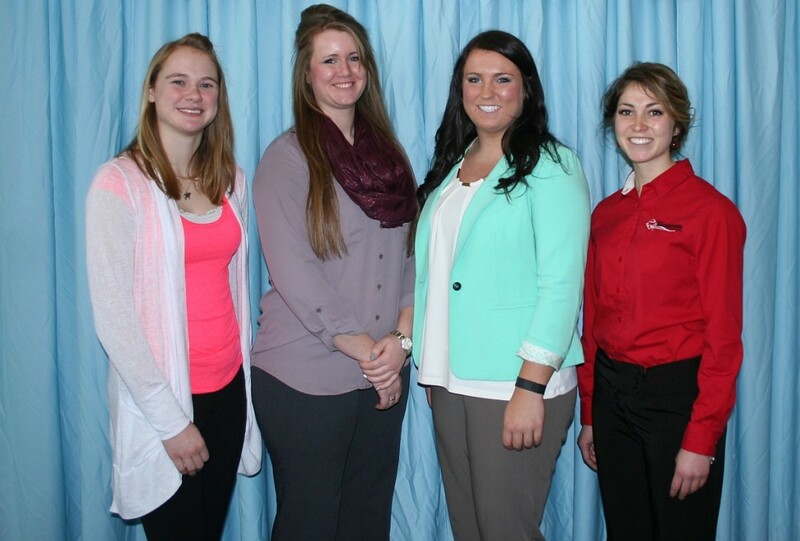 Winners of the OCA's Country Club Scholarship are (L-R): Emily Bauman, Haley Drake, Josie Vanco and Jordan Bonham.